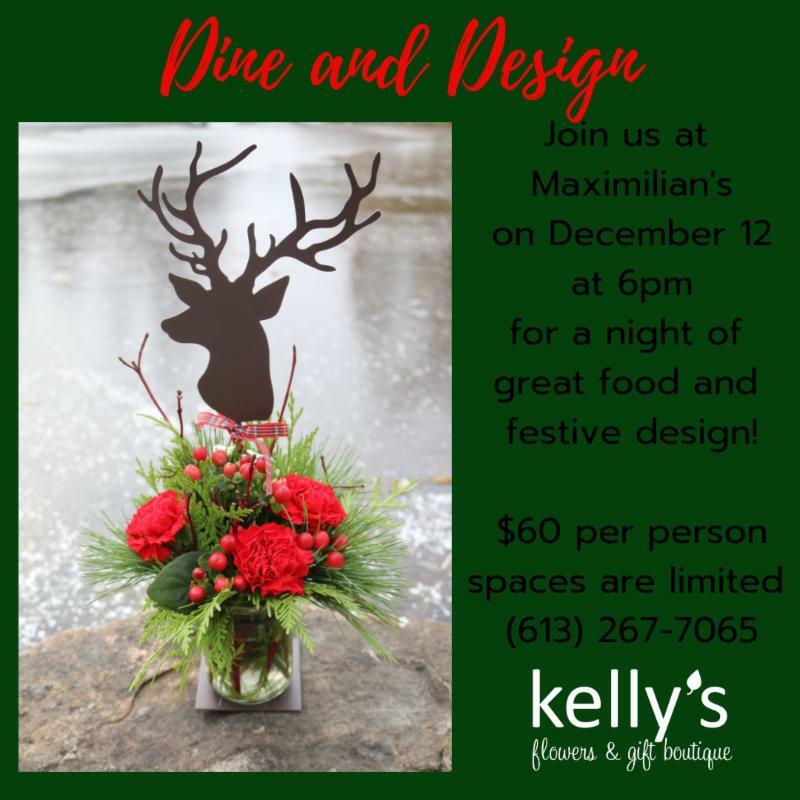 We have been invited to help host a Dine and Design night at Maximilian's Restaurant in Perth on December 12th at 6 pm. Join us in making a Christmas arrangement while also enjoying a delicious meal provided by Maximilian's. Spaces are limited. Call Kelly's at 613-267-7065 to reserve your spot. $60 plus tax, for supplies and dinner. We hope to see you over the holidays, but if we don't, we wish you a Merry Christmas and a Happy New Year! !